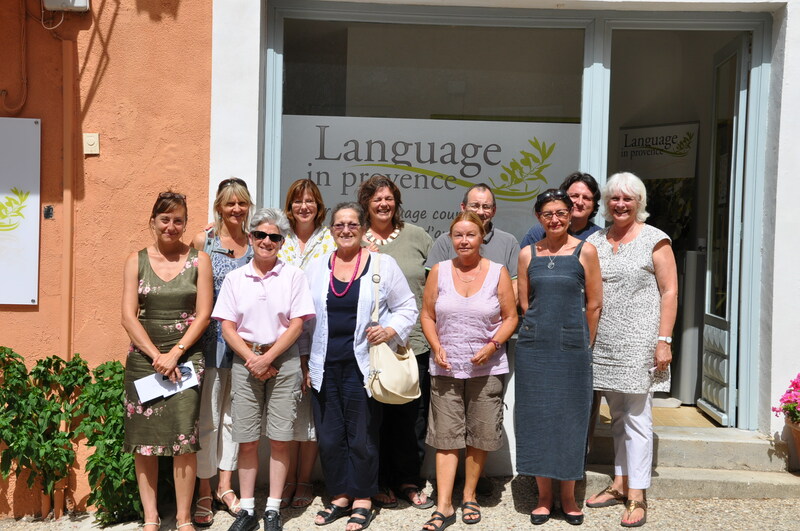 LANGUAGE IN PROVENCE is a thriving language school based in the hillside village of Saint Saturnin-lès-Apt in the beautiful Luberon Valley. It was founded by its director Susan Bento in 2000 and since then has welcomed many students of different nationalities. 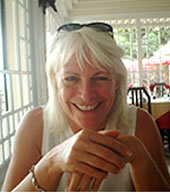 Susan has worked in language training throughout her professional life in both Britain and France and is a qualified French and English teacher. It has been her goal to provide a language centre where adults can relax, enjoy their lessons and disassociate themselves from the anxieties which so often surround and block adult language learning. 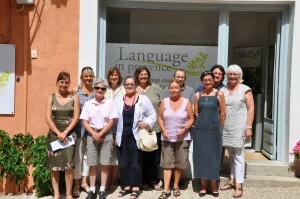 This small, friendly village in the heart of Provence is the perfect location for these dynamic and stimulating courses. 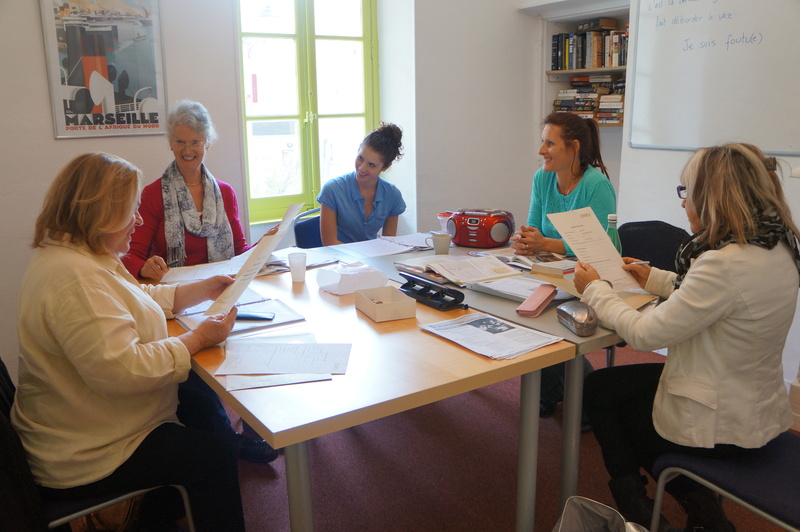 Susan is supported in her work by a team of highly competent teachers who understand how to make language learning a more accessible process and the learning experience a satisfying and rewarding one. The school is officially recognised by the French Government as an adult training centre (No. 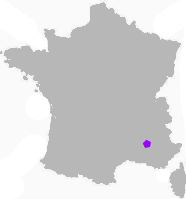 de déclaration d’existence auprès de la Préfecture de Région Provence-Alpes Côte d’Azur: 93840259384). The school enjoys a stunning location 5 minutes’ walk from the attractive village centre, overlooking the Luberon Valley. There is a pleasant, shady garden which our students are welcome to use. All our accommodation options are within a few minutes’ walking distance. Surrounding the village are vineyards, olive groves and cherry orchards with magnificent views of the Luberon Mountains beyond. 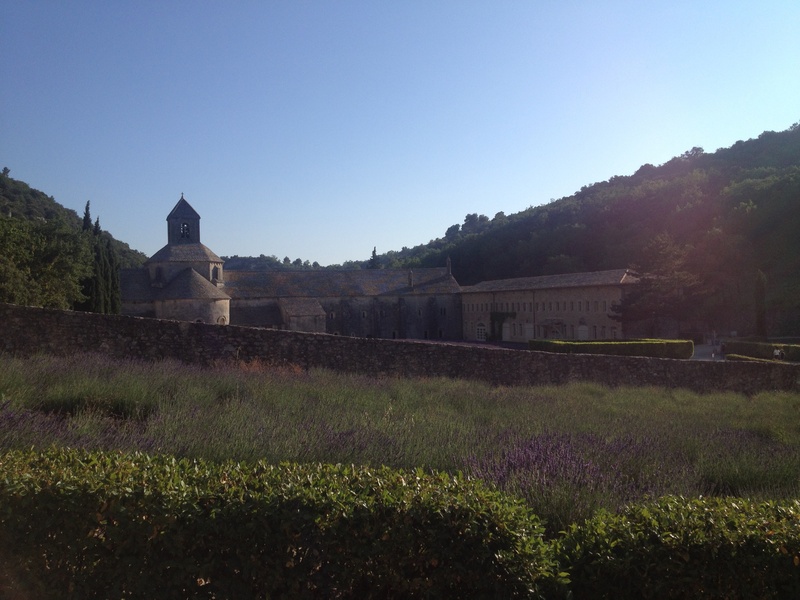 Many of our students choose to come to St Saturnin without a car and concentrate on village amenities during their stay. 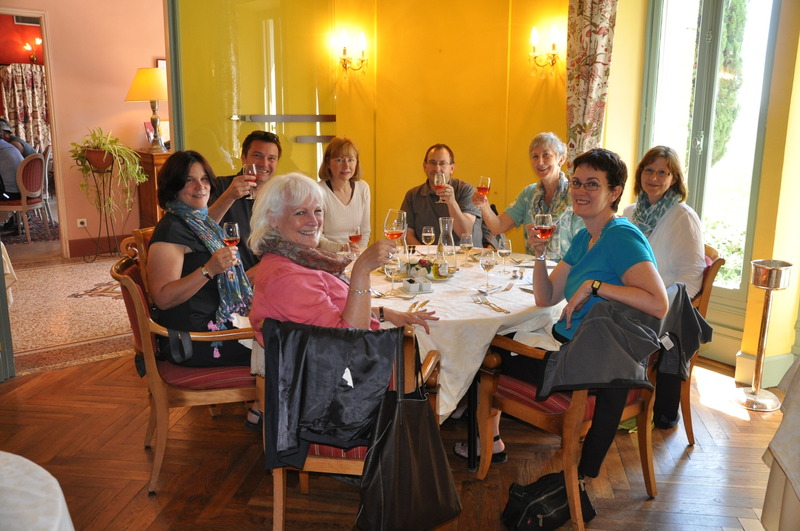 After class they enjoy wandering through the quiet winding streets and squares to the château or meeting in one of the colourful local bars for an ‘apéro’ before dinner. The atmosphere of the village is friendly and relaxed and local people are delighted to meet our students. Our afternoon excursions give our students an opportunity to visit some of the stunning local places of interest – glorious villages like Roussillon and Gordes, the breathtaking Cistercian Abbey at Sénanques or l’Isle sur la Sorgue, the beautiful Venice of Provence. 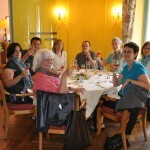 Our immersion students join us several days a week for a delicious home-prepared lunch with local wine. They have the opportunity to speak French the whole day long. Coffee, tea and soft drinks are available ‘à volonté’ throughout the day.